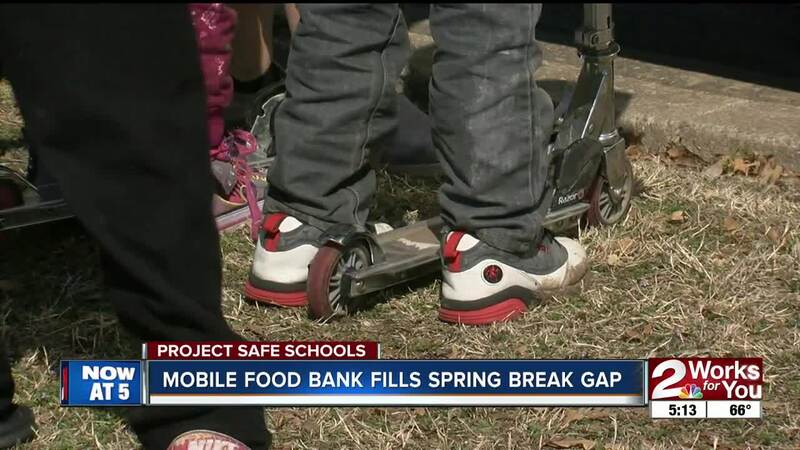 TULSA, OK (KJRH) — The Community Food Bank of Eastern Oklahoma is providing lunch for Tulsa Public School children who might otherwise go hungry this spring break. The Food Bank hit the road during spring break, going to a handful of areas where students rely on free or reduced-price lunch in school. Kids call the truck pulling up the "best part" of their day. For some of them, it might be their only meal of the day. The Food Bank delivered 400 meals every day to students and their families. For those kids, they're missing out on a lunch they would normally receive in school. Cassondra Lee is a mother of two, who graciously awaited the food truck's arrival Thursday morning. "Thank you," Lee said. "I just want to thank everybody who's in on this, and a part of this. I just really appreciate it. So for me and everyone out here, thank you."